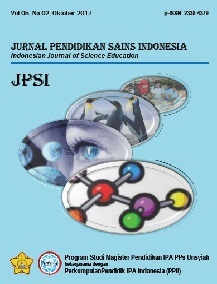 The Jurnal Pendidikan Sains Indonesia (Indonesian Journal of Science Education) abbreviated JPSI was published at 2013 by the Pendidikan IPA Studies Program, Postgraduate of Syiah Kuala University. 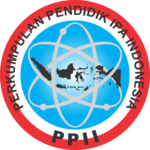 At 2016, the JPSI was published collaborate between Pendidikan IPA Studies Program, Postgraduate of Syiah Kuala University with Perkumpulan Pendidik IPA Indonesia (Indonesian Society for Science educator) abbreviated PPII through the Manuscript of Cooperation Agreement No. 07/PPII/J/2016, 23 April 2016. The articles was published by JPSI related to natural science and natural science education. The science that are intended is articles related to Physics education, chemistry education, and biology education. The article of natural science that are published at JPSI if the contents related to education and learning of Physics, Chemistry, and Biology. The article was published at April and October for every year.